Are you into movies and TV-shows? Then our When Harry Met Seinfeld Tour is probably right up your alley! Your guide will take you to some of the most famous TV & movie locations above Times Square. During 2-hour TV and movie locations tour, you'll get to see many spots from different well-known movies and popular TV-shows, like Seinfeld, The Nanny and How I Meet Your Mother. Discover filming locations from Black Swan, Trainwreck, Cruel Intentions and so much more. 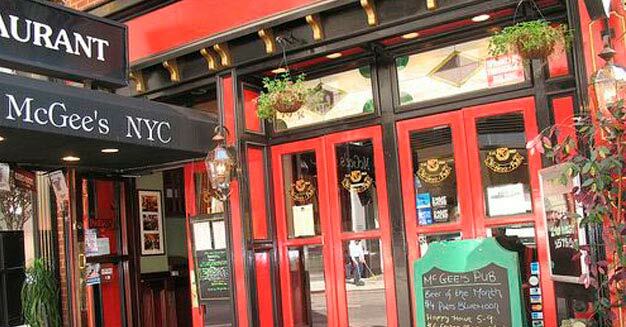 The tour starts in front of McGee's Pub close to Central Park. The address will be on your e-ticket. Please be there 15 minutes before the tour starts. The tour is available on Tuesdays, Thursdays and Saturdays at 2 PM. Only Saturdays at 2 PM January through March.